How does a designer decide when to use mixed metals or when to mix and match vintage pieces with contemporary? I am not certain there is an easy answer for that. I only know how to do it by looking at the piece and knowing that it goes together. I think it helps if the added pieces are balanced with equal amounts of mixed metals and/or equal vintage and contemporary components. I also think it is easier if the design patterns are similarly related. The two pair of earrings below are mixed metals as well as a combination of vintage and contemporary. 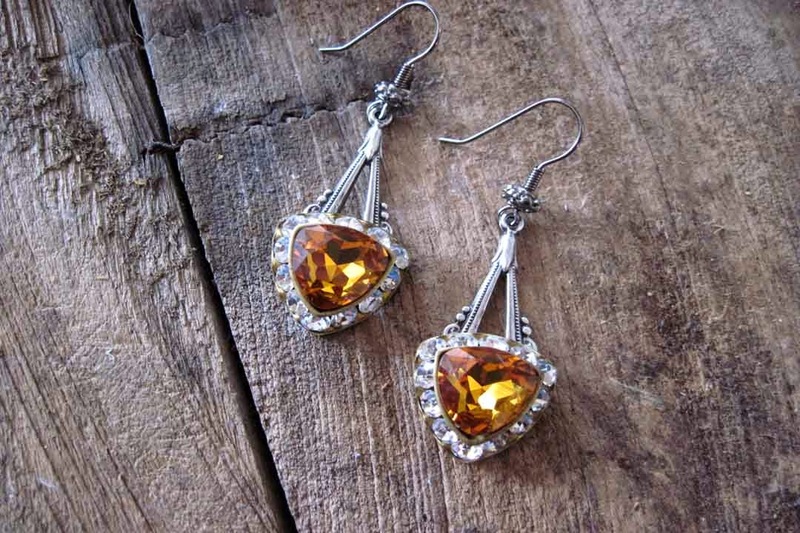 In the first pair, I used a vintage style silver drop (contemporary). To the drops I riveted vintage goldtone Swarovski settings with vintage Swarovski Topaz rhinestones. The drops have a triangular shape to them which are similarly related to the focal. 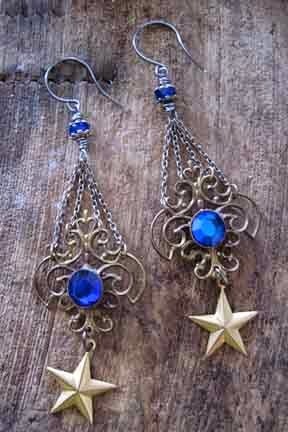 The next pair are designed with vintage/antique Czech filigree with a blue rhinestone center. I added tiny antiqued silver chain with a contemporary blue glass bead. At the bottom I added a Nunn Design star drop. The chain and the star have a similar pattern and the blue glass bead draws from the vintage/antique blue center of the filigree. The next picture has four pair of earrings that I put together - something fun for summer! They have a bit of all my favorites. The bee charms are from Nunn Designs. The daisy charms and beads are Vintaj blended with Swarovski crystal pearls. 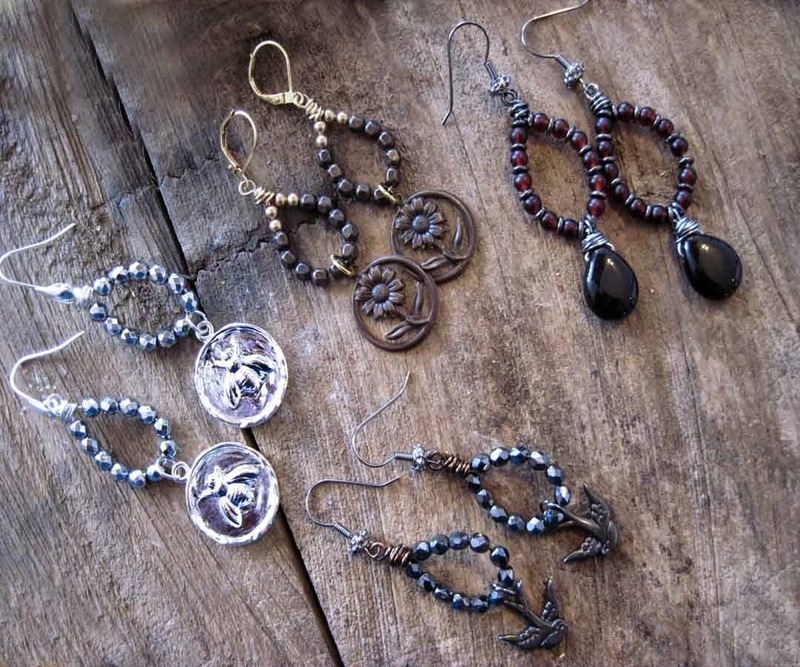 The sparrow charms are Tierra Cast with Czech glass and the Garnet red glass is also Czech. Each are designed with mixed metals and contemporary components.